come from "snow days" collection. red of the north pole sign - and the grey of the bottom of the snowglobe. on both the embossed and printed snowflakes. which I picked up for 20p, in the summer, at a car boot sale! I'm really pleased with this one - and it was simple to make, too! Hello Vic… Thanks for sharing your lovely Christmas card with us at Scribbles Designs… pretty embossing. Your card fits perfectly with our “Welcome to the North Pole” challenge theme… please join us next time and Good Luck in the draw. Very Best Wishes for 2018. 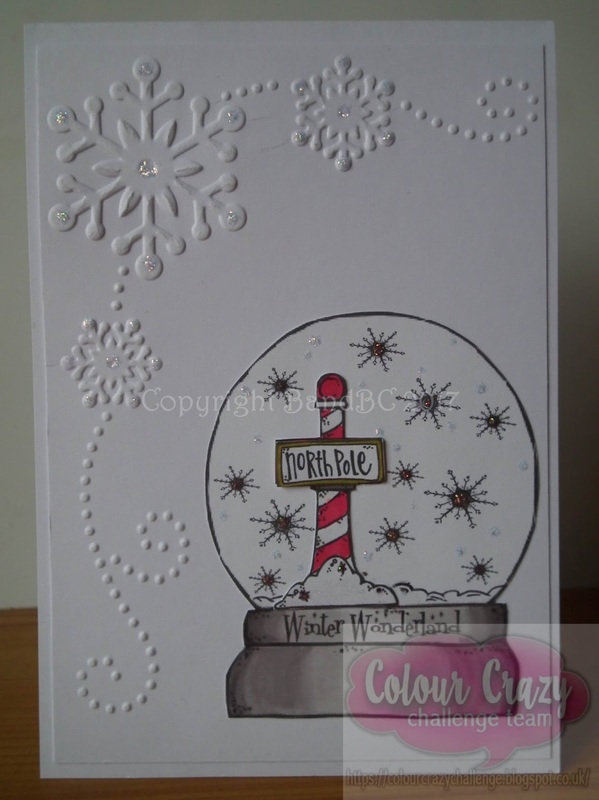 Great North Pole themed card. 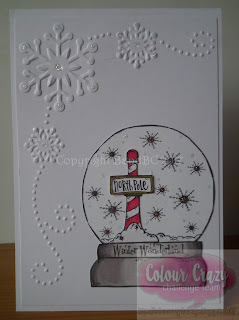 Thank you for joining in the North Pole Challenge at Scribbles Designs. Great card! I like the CAS design and the pretty embossing! Thank you so much for sharing your talent with us at SCRIBBLES DESIGN. Best of luck! PS - Don´t forget to come and join our Birthday Blow Out Party. Chance to win some new fun images!